I've worked at a few companies over the years, more than one of them have crashed and burned but one in particular has managed to hold on, against the odds. Don't as me how because I don't know. Their stock price was $0.26 more than a decade ago (I recall my opening option price was in the $5 range back in the Summer of 2000). 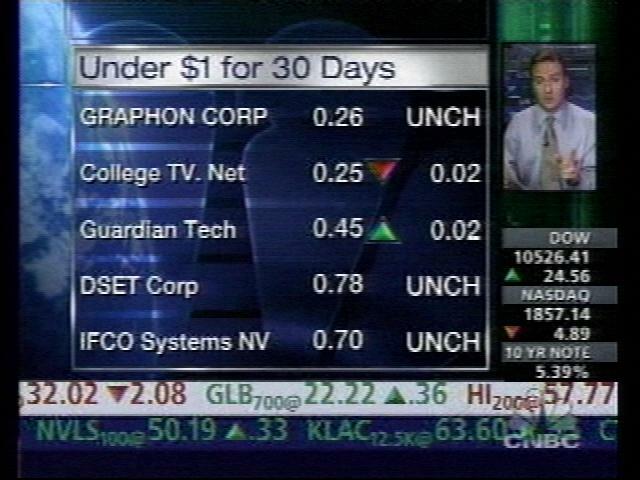 CNBC Screen shot from a long time ago, it must of been good to be a treasury investor then look at that yield! They didn't get into the patent game until years after they laid my friends and I off in 2002. The primary business model they had at the time, was making thin client software their main competition was the likes of Citrix and stuff. I worked on the side that made the Unix/Linux variant being a IT support/system admin for various Linux, Solaris, HPUX, Tru64 and AIX systems along with a few select Windows NT boxes. One of my long time friends worked on the Windows side of things at the other end of the country. The company acquired that technology from Corel I believe in the late 90s and still develop that product today. I'm not sure whether or not the Unix product is developed still for a long time they just had a single developer on it. Anyways I write this because I was browsing their site yesterday while talking to that friend on the phone, and it turns out they were granted a groundbreaking new patent for cloud computing a couple of months ago. Though I think you'll agree that it's much more applicable towards extending the life of IPv4, without this technology we would of ran out of IPs a while ago. U.S. Patent 8,117,298, issued February 14, 2012, is directed towards an easily configurable Web server that has the capability to host (or provide a home for) multiple Web sites at the same time. This patent helps small companies or individuals create the same kind of Web presence enjoyed by larger companies that are able to afford the cost of multiple, dedicated Web server machines. This patent protects GraphOn's unique technology for “configuring” a Web server that has the capability to host multiple Web sites at the same time – called “multi-homing”. This multi-homing capability of the Web server provides the appearance to users of multiple distinct and independent servers at a lower cost. Functionally, a multi-homed Web server consists of, in effect, multiple virtual Web servers running on the same computer. The patent claims a design in which features can be readily added to one or more of the virtual servers. For example, a new software module having additional features or different capabilities might be substituted for an existing module on one of the virtual servers. The new features or capabilities may be added without affecting any other of the virtual servers and without the need to rebuild the Web server. You can see the uses for this patent right? I mean pretty much everyone out there will immediately want to step in and license it because it really is groundbreaking. Webs servers, most of which are written for UNIX, often run under INETD ("eye-net-D"), an Internet services daemon in UNIX. (A daemon is a UNIX process that remains memory resident and causes specified actions to be taken upon the occurrence of specified events.) Typically, if more than sixty connection requests occur within a minute, INETD will shut down service for a period of time, usually five minutes, during which service remains entirely unavailable. This is not the first ground breaking patent they've been issued over the years. Patent 7,386,880 for some form of load balancing. Patent 7,424,737 for some sort of bridging technology that converts between IP and non IP protocols (the example given is Satellite protocols). Patent 7,360,244 for two-factor authentication against a firewall. Patent 7,269,847 which is a very innovative technology involving configuration of firewalls using standard web browsers. Patent 7,249,378 which seems to be associating a dedicated DNS for users utilizing a VPN. 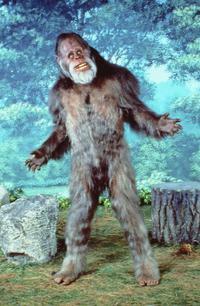 Unfortunately for Graphon they did not license the patent that allows them to display more than the most recent five years of press releases on their site so I tasked our investigative sasquatch to find the information I require to finish this post. Most/all of the below patents were acquired with the acquisition of Network Engineering Software. Patent 7,028,034 covers web sites that dynamically update and pull information from a database to do so. Fortunately for you non-profits out there the scope is limited to pay sites. Patent 6,850,940 which I'm honestly surprised someone like Oracle didn't think of earlier, it makes a lot of sense. This covers maintaining a network accessible database that can receive queries from remote clients. Patent 6,324,528 which covers something along the lines of measuring the amount of time a service is in use - I think this would be useful for the cloud companies too you need to be able to measure how much your users are using the service to really bill based on usage rather than what is provisioned. I suppose I should of bought my options when I had the chance I mean if I had invested in the $5 option price I would be able to retire, well maybe not, given the stock is trading in the $0.12 range. I felt compelled to get this news out again so that the investors can wise up and see what an incredible IP portfolio this company has and the rest of the world needs to stand ready to license these key technologies. Then I can go back in time and tell myself to buy those options only to come forwards in time and retire early. I'll publish my time travel documents soon, I won't ask you to license them from me, but you will have to stop at my toll both in the year 2009 to pay the toll. You're free to travel between now and Jan 1 2009 without any fees though, think of it as a free trial.